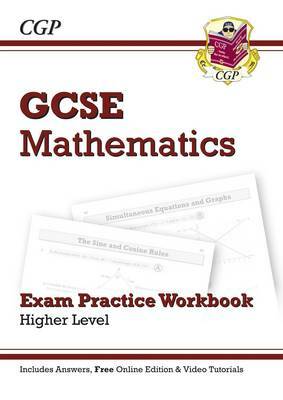 This book (plus free online edition) provides comprehensive exam practice in the style of the real Higher Level GCSE Maths papers. There's a wide range of questions covering the whole course, with grades to indicate the difficulty level and helpful tips and guidance throughout. Detailed worked solutions are printed at the back of the book, with a complete mark scheme that makes it easy to check your progress. At the end of the book, there are two complete practice exams - and if you're stuck, you can watch online videos of CGP's Maths experts working through these exams. Last but not least, a free online digital edition of the entire book is also included - just use the unique code printed in the book to access it.